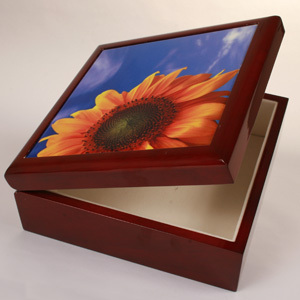 Product Description: Hardwood Oak box, lined with soft felt with mahogany laquer finish. The image you select will be printed on a 6" square tile and adhereed to the top of the box. Size: 6.5" x 6.5" x 1.75"